How does Kyler Murray committing to football help the Jaguars? 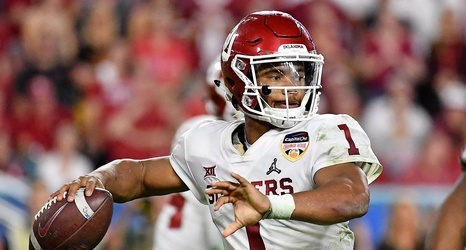 There are a lot of questions surrounding the 2019 NFL Draft quarterback class, many of which are about former Oklahoma quarterback and Heisman Trophy winner Kyler Murray. Outside of his size, there has been a question of his commitment to football, or if he still has professional baseball aspirations. On Monday, Murray released a statement hoping to squash some of that belief. “Moving forward, I am firmly and fully committing my life and time to becoming an NFL quarterback. Football has been my love and passion my entire life. I was raised to play QB, and I very much look forward to dedicating 100% of myself to being the best QB possible and winning NFL championships.